→Broil King vs Weber Grills – Which one is better? Weber is a top-selling brand, and most of the people automatically consider this brand without making any comparison. No doubt, it's a top class brand that needs no introduction, but this article is for those who are looking for an alternative. 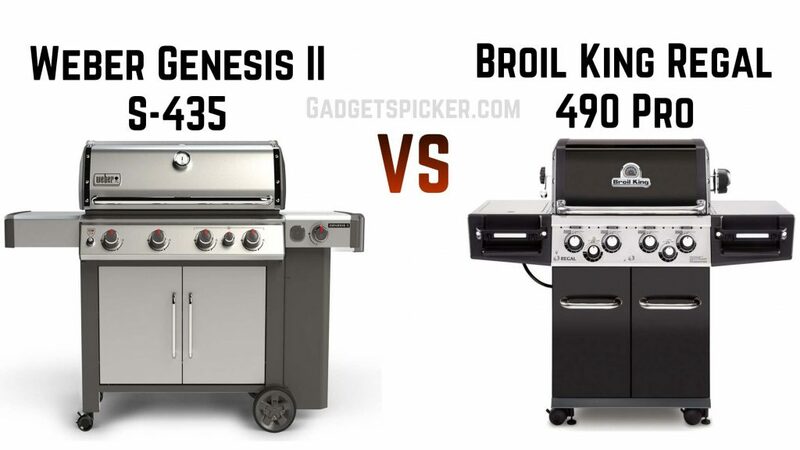 And one of them is Broil King which is a great competitor for Weber. In this article, we'll be comparing Broil King vs Weber grills. 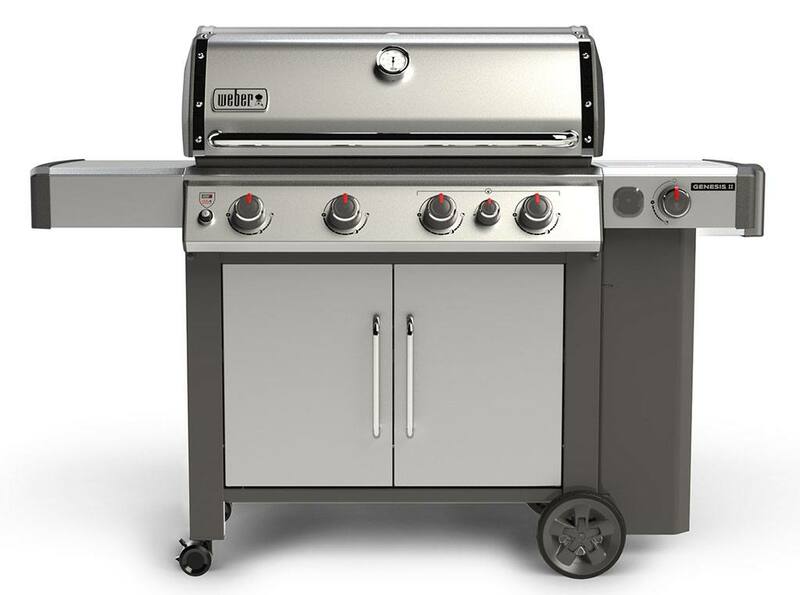 Weber Genesis II S-435 and Broil King Regal 490 Pro are two of the very famous names in the market of grills. This is why we are here with the two top gas grills, so let's find out which one is more suitable for you between Broil King vs Weber . This Weber Genesis II S-435 is the company's latest launch that comes with four burners along with a Sear Station and side burner. These are stainless steel burners which are capable of delivering 48,000 BTU/hour of total heating power. This means you'll get 74 BTU of heat per hour per square inch. Apart from this, the Sear Station burner will provide you with 9,000 BTU of heat output, and the Side burner will be giving 12,000 BTU. Weber Genesis II S-435 comes with 646 square inches of primary cooking area, but that's not it as you get an additional 198 square inches in the form of warming rack. This model is compatible with the iGrill 3 app that allows you to monitor the temperature from mobile devices. However, you've to purchase the accessory separately. Looking at specifications, this model weighs 176 pounds and comes with the dimensions of 65 x 29 x 47 inches. Let us now quickly look at the main highlights of this grill. Broil King Regal 490 pro comes with porcelain coated cast iron cooking grates, not the stainless steel. It is a 4-burner gas grill that comes with side and rotisserie burner as well. Side and rotisserie burners are located in a separate cabinet. The four dual tube stainless-steel burners have a heat capacity of 12,250 BTU-per-hour. Along with this, the side burner is of 10,000 BTU and rotisserie burner is of 15,000 BTU. Regarding cooking space, the total cooking area is of 695 square inches with 500 square inches of primary cooking area. ​This is the first thing which a buyer looks before buying a gas grill for their backyards. No doubt, buying a gas grill is a one-time investment, and no one likes to go with average. Looking at cooking space, Weber Genesis II S-435 has a total of 844 square inches of cooking area. Among this 844 square inches, the primary cooking area is of 646 square inches. Whereas, Broil King 490 Pro has a total cooking area of 695 square inches with 500 square inches of primary cooking area. So overall, Weber Genesis II S-435 is the winner under this parameter. 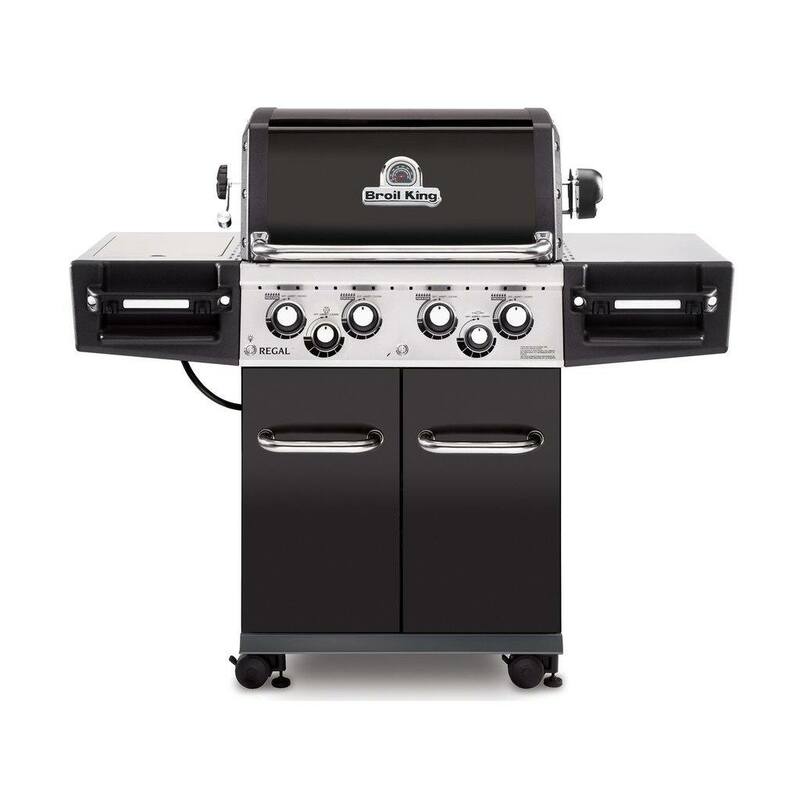 Weber Genesis II S-435 and Broil King Regal 490 Pro both are a 4-burner gas grill. The burners of both grills are made of stainless-steel and deliver heat with great consistency. Regarding cooking power, the main burners of Weber Genesis II S-435 have 48,000 BTU of heat capacity with 12,000 BTU of the side burner and 9,000 BTU for the sear station. On the other side, Broil King Regal 490 Pro has remarkable 50,000 BTU of heat power along with 10,000 BTU of the side burner and 15,000 BTU for rotisserie burner. So if you're looking for better power, Broil King can be the better choice for you. There is a total difference of 6,000 BTU between the heat output of both the grills. Weber Genesis comes with two gliding caster wheels, while Broil King has four gliding wheels. Both the models have a locking mechanism at their wheels. We cannot declare one product as a clear winner, as this would not be fair at all. Both the products are best on their own. One is good somewhere, while the other one is a little less there. So we will better recommend you to read the comparison carefully. So that you'll be able to decide and select which one is better for you and meets all your requirements.